Thanks to the advanced technology available out there, learning how to cook from the experts is no longer a huge challenge in our lives. In addition, any chef with a smartphone can simple broadcast their cooking in the comfort of their own kitchen, thanks to YouTube. 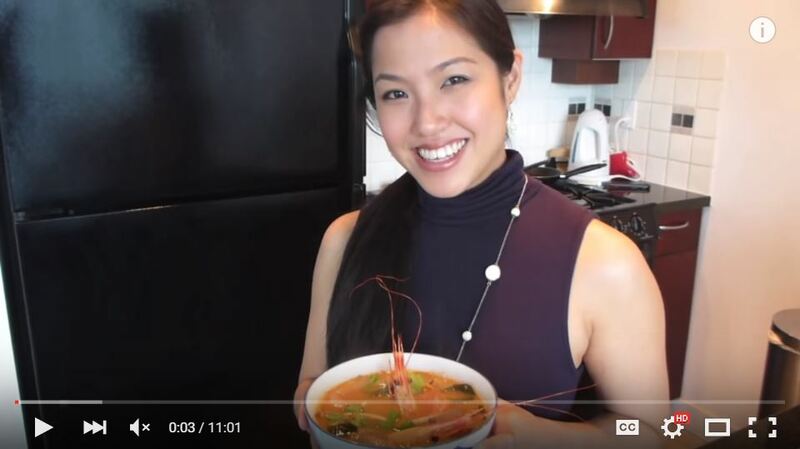 If you’re looking at trying out some Southeast Asian cuisines, check out these 8 YouTube channels that will have you cooking like a top chef in no time. Nyonya Cooking host, Grace, introduces exotic and authentic dishes that reflect the ethnic diversity of her home country, Malaysia. Ever since she moved to Germany, one thing that she really misses, besides family and friends, is the food. Her channel aims to provide a good platform to share the recipes with other friends and also to introduce Malaysian food to others. Originating from Danang, Vietnam, Helen spent the recent decade of her life in Singapore and Germany. She shares her day-to-day Vietnamese dishes on her channel. If you would like to learn how to make yummy Vietnamese dishes, this is the channel to go to! This channel was created by a 4-man team who love their food, be it eating, cooking, growing, or even capturing in film. Their channel aims to simplify and visualise the home-cook recipes for everyone to make dishes easy and fun for all. Want to know what Singaporeans eat? Check out their videos! Angie Tee created the channel since 2010 and aims to share over 800 recipes, ranging from appetisers, snacks, entrees to desserts. Through her videos, you will find that making delicious Malaysian, Thai, Indonesian and other country cuisine at home can be simple and fun. Within a span of 6 years since it first started, Pai has gained more than 114,000 subscribers on her channel. Currently residing in Canada, Pai loves to share a variety of her home country, Thai, cuisines with easy-to-follow and authentic recipes with everyone. The videos are uploaded on a weekly basis. This channel is created by Vanjo Merano, a Filipino Information Technology professional working in the United States. Being a huge fan of the Filipino way of cooking, Vanjo aims to share what Filipino dishes are and how they are prepared through his videos. Founded in 2010, this channels provide simple videos on how to make traditional Cambodian recipes. Check out all the awesome recipes on the channel! Founded by Shanty Harmayn, Rubiana Fajar and Rima Sjoekri, this channel brings simple Indonesian recipe videos that have been tried and tested by home cooks, and for home cooks. Catch their new recipe video every Thursday and enjoy simple Indonesian cooking at home. This article was first published on TallyPress, an online ranking magazine that revolves around the hottest topics in Malaysia. The original post can be read here.